This is the verse that Ostad Bakhtiari Nejad's life revolved around. This is the verse that he repeated over and over in almost every article he wrote, in every class he taught, and in every speech he made. According to him, this was the verse that changed his life, this was the verse that made teaching Quran and the goal of God's religion the only mission in his life. Even though he has returned to his creator, he is still with us and he will always be. He has planted the seeds of justice in the world by training thousands of his students, of which many have themselves become teachers of the Quran and promoters of justice around the world. Now that he is not physically among us, we need to come together and talk about what he was saying, we need to come together and continue his mission. He always said, you can do it, you can inform the people of the world that God sent all his messengers for one purpose, and that is to promote and establish justice in the society. He strongly believed that, once the people of the world find the truth about religion, they will all come together and cooperate with each other to create a world in which there is no injustice. So let us come together, and make his dream come true. Let us try hard to change the world into a better place for all people, a world in which there is no tyranny, oppression, corruption, poverty, ignorance, degradation of human dignity, discrimination, and any other injustices. 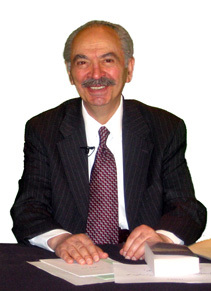 In this site we have included most of his writings, audios, and videos for everyone's reference and we hope that you enjoy the fruit of his 60 years of research and teaching religion.